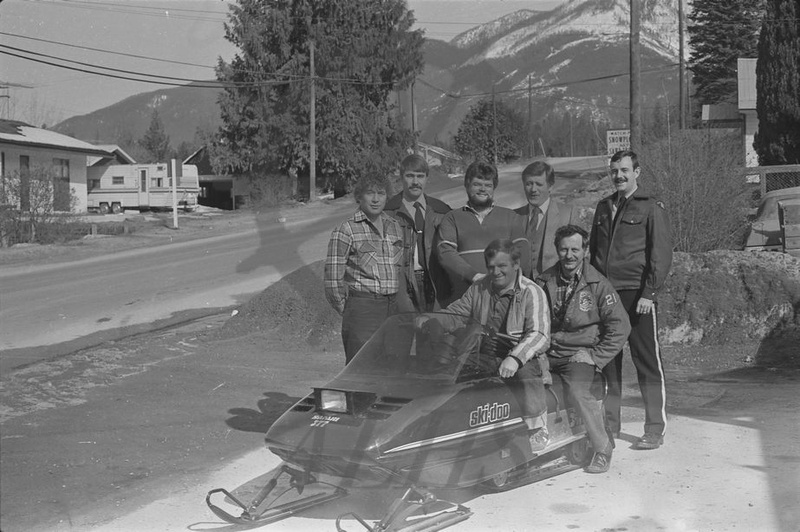 Group including representatives from Royal Canadian Mounted Police and Nakusp Volunteer Fire Department pose with Ski-Doo Safari 377 snowmobile, parking lot of Shaw's Equipment, 101 Nelson Avenue N, Nakusp, ca, 1980s. TOP(l-r): Don McAndrew, ?, ?, Ernie Calancia, ?. BOT: Terry O'Brien, Mr. Reich.